In this tutorial you'll download the latest Node.js source code, compile it and install on an instance of the Amazon Linux AMI (64-bit). For this tutorial I'm assuming you've already launched an AWS EC2 instance using the latest Amazon Linux AMI and can SSH into the instance. Let's use /tmp as the working directory for our downloads and installation. 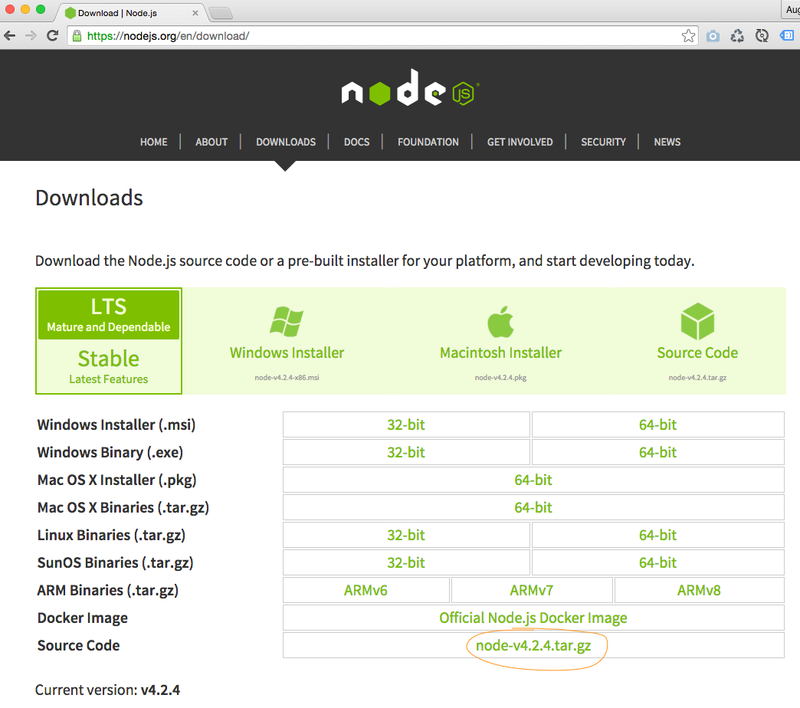 Visit the Node.js website and download the latest "Mature and Dependable" version. Download the source code. At the time of this writing it's v4.24. Update the version number below if necessary. After the code has finished compiling ... Verify the installation. You should get some version numbers back. In my case 2.14.12 and v4.2.4 respectively. Ok, let's run something simple and prove it works. Move to the home directory and create a www directory. The command above opens the nano text editor with a blank document. Copy/Paste the text below into it. Type ctrl+o to save (WriteOut) the app.js file to disk. Then crtl+x to exit the nano editor. The console will echo back "Node.js is listening on port 8000". Make sure you have port 8000 open in the security group that your AWS instance is running in. To shutdown the server type ctrl+c. What if workers got paid in real-time?